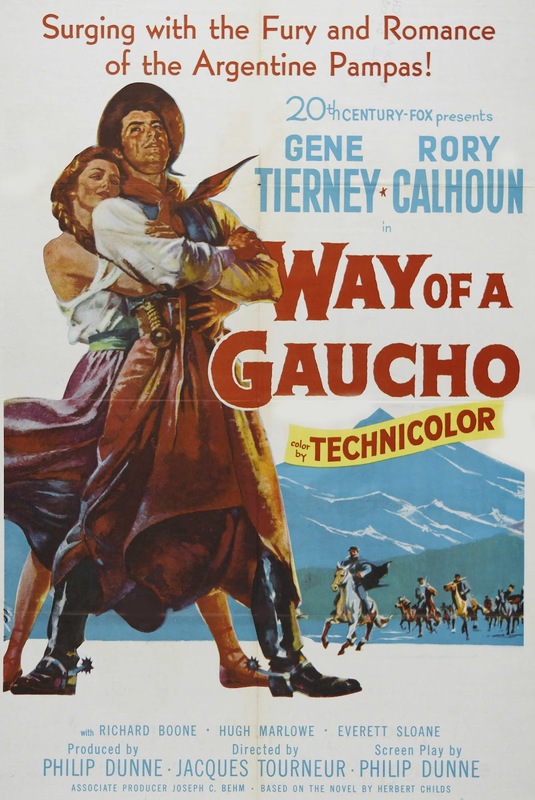 WAY OF A GAUCHO (1952) --- A sympathetic outlaw and his woman on the run, and hopelessly so, for much of a run time, but done with verve, variety of incident, and depth of characters that are part and parcel whenever Jacques Tourneur directs. Again I'd propose his having taken scripts home for weeks of polish before shoots began --- there's just no accounting otherwise for how consistently well Tourneur's work turns out. Was this condition precedent for his agreement to direct? The best helmsmen were writers too, or at the least refinishers of distinction. The set-up was Latin variation on They Live By Night, and Apache would venture similarly a few seasons later. Way Of A Gaucho was Argentine-filmed and it's said that Fox used frozen money and write-offs to make a seeming $1.2 million loss an actual gain in terms of corporate bookkeeping. Gaucho was also part of the studio's bid for increased foreign revenue, what with pampas setting and action aplenty. Rory Calhoun is being star-built here, but it's opponent throughout Richard Boone who is beneficiary of memorable words and deed. Would that character parts in all movies have such texture, though ones by Tourneur invariably do. 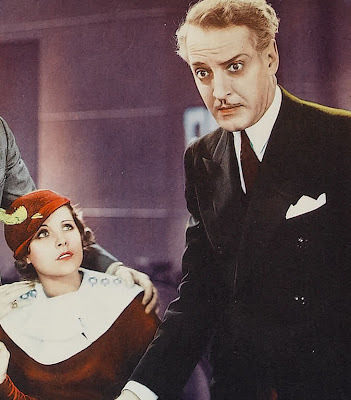 THE WOMEN IN HIS LIFE (1933) --- Always a joy to see featured player Otto Kruger in a starring role, this all too seldom the case as he was not a conventional lead man. The Women In His Life was part of the super-lawyer cycle that gathered John Barrymore, Warren William, Bill Powell, and others of like dynamism into precode nets, the rationale being that a strong enough personality can, and should, determine courtroom outcomes. Still, for such a device to work as (melo)drama, there had to be chinks in the armor of these seeming invincibles, thus succession of Eves to disrupt (extra)legal gardens tilled by them. The smoother they operate going in, the harder a crash they'll experience heading out, few more so than Women's Kruger, whose half-way through breakdown at the grave of a lost love reveals feet alarmingly of clay. His crawl-back from utter despair (and consequent disbarment) is maybe too generous a slice of humble pie, precode watchers (especially now) liking better their heroes maintaining upper hand. 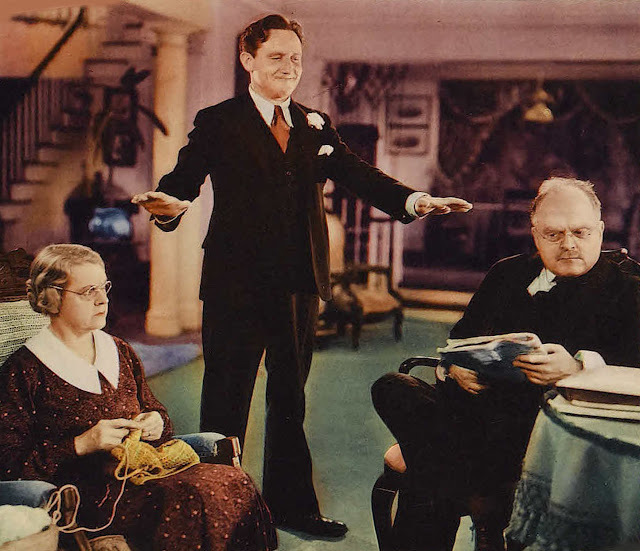 For a programmer so obscure, made at MGM with a fine support cast (Una Merkel, Ben Lyon, Isabel Jewell), The Women In His Life pleases and might even surprise followers who imagine they've seen all the best of pre-c. 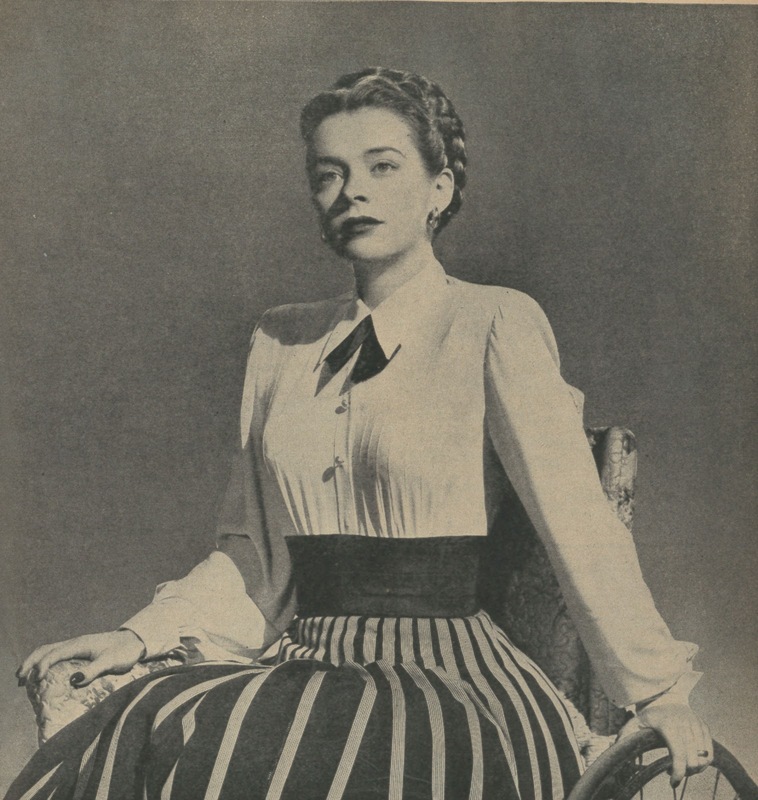 THE SIGN OF THE RAM (1948) --- Susan Peters wreaks family havoc from a wheelchair to which actress and character were confined, Ram a Peters-proposed comeback after her Metro career was cut short by debilitating wounds sustained in a gun accident. This property as chosen and independently produced for Columbia release took $995K in domestic rentals, more perhaps than downer content foresaw, most attendance likely result of curiosity re Peters, who'd been offscreen for a last three years. The drama compels for her evil-doing and awakening of family members to reality of same, their slow response fruit of SP having saved several lives in the swimming mishap that disabled her. Sounds cheery, huh? 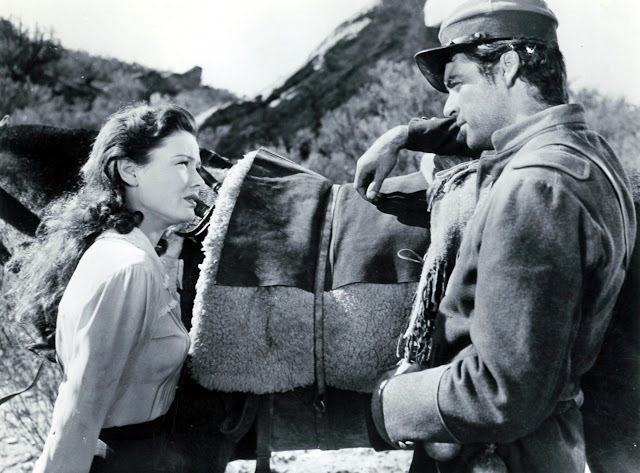 Good direction by John Sturges (his first "A") and atmospheric seaside setting give drama distinction. Not unlike dysfunctional The Anniversary done by Bette Davis for Hammer in the 60's. 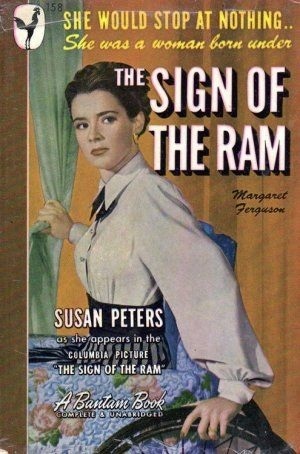 Sign Of The Ram's departure from general run, plus Susan Peters' focused perf, makes for 84 minutes rewardingly passed. 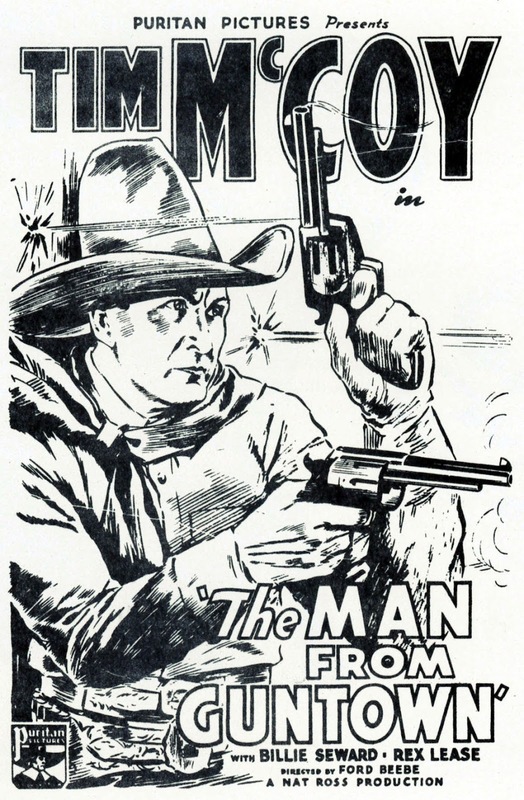 THE MAN FROM GUNTOWN (1935) --- Ford Beebe was a full-service low budget filmmaker that often brought story/script along with directing expertise, his work belying silly notion that B's meant Bad. This was a Tim McCoy western for Puritan release that Ford wrote with Thomas Ince, Jr. (one of only three writer credits I found for this son of a silent era's leading producer). The Beebe brand on serials, cheap thrillers, Bomba pics, was assurance of efficiency and quality result when creative charge was his. Rote formula can satisfy given right participants. Here it's Trigger Tim saving a tin mine from villainous usurpation (ever notice how screen cowboys always end up minding someone else's business?). Action's not in abundance ... Man's trailer bonus with the Sinister Cinema DVD contains virtually all of it, but the best of any McCoy is watching, and more so, listening, to that ramrod presence speak his authoritative peace. 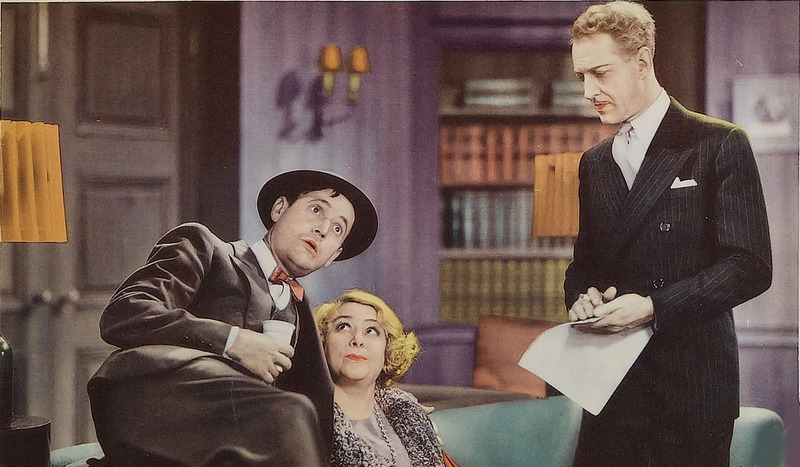 THE SHOW-OFF (1934) --- Here was what Spencer Tracy did best, at least early in his stardom ... take a routine subject, or at least a familiar, if sometimes irritating character, and invest it/him with sympathetic qualities that quite unexpectedly generate rooting interest. This show-off had been played by Ford Sterling as a silent, later with as hard to take Hal Skelly. MGM hoped to use Lee Tracy for this version until the Villa incident washed him out. None of these could have beat S. Tracy, who shows here what a really gifted player could do with a difficult part, that being a loud mouth and blowhard who's right in his own mind, but never anyone else's. 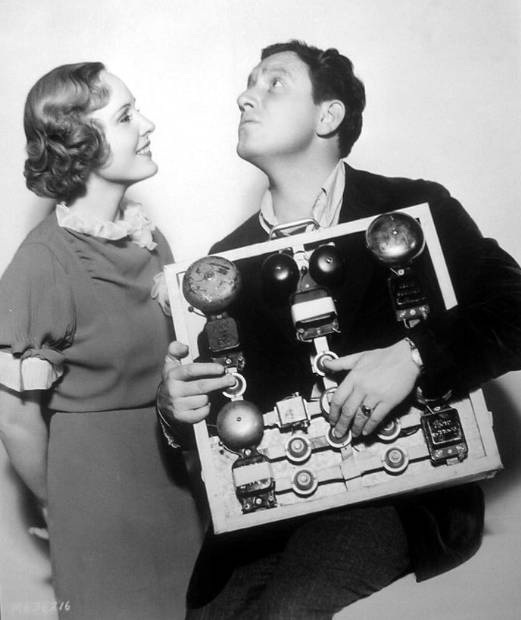 The source play was designated a comedy, so funnymen were generally plugged into it, which meant obnoxious aspects of the lead weren't tempered by much else, result a viewership as alienated as characters stuck in the Show-Off's company. 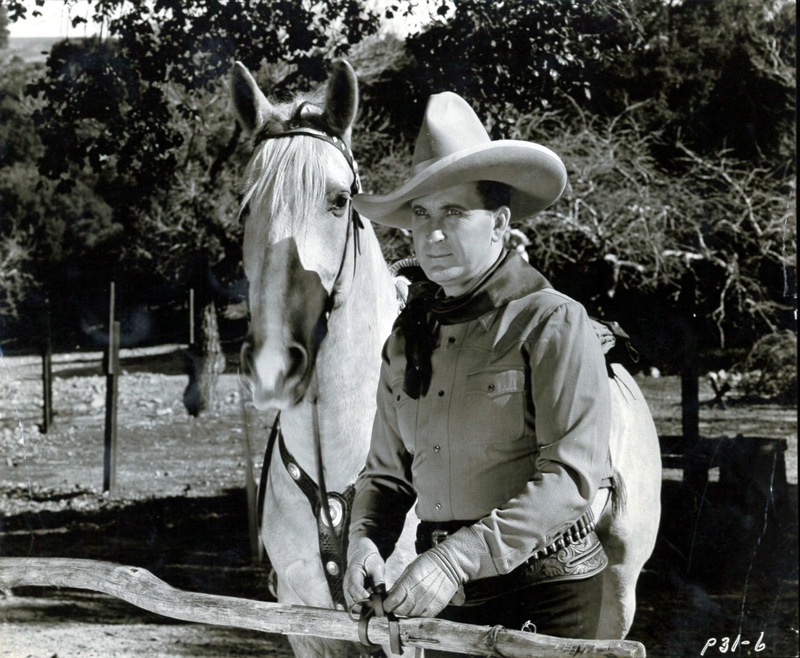 Overcoming said pitfall impressed MGM hirers enough to move Tracy over from Fox to Culver's own star stable, where his thriving would get underway in earnest. Had the chance to see SIGN OF THE RAM at the Noir City Hollywood Festival last year and really enjoyed it. Not a perfect film, but interesting and absorbing, with a brave performance by Susan Peters. I like her in everything I've seen her in, her accident was a tragedy not only for her personally but for film fans who missed out on the performances that might have been. WAY OF A GAUCHO looks great. I have the Fox Cinema Archives here, must get to it soon! The more I see of Tourneur's work, the more I admire him. As always, thanks for the enjoyable comments and beautiful images! Red Skelton also did a remake of "The Show-Off" in 1946. I Would love to see the 1934 Spencer Tracy version,just have to keep watching for it on TCM or the Warner Brothers Archives. Laura, I read that they were showing "Sign Of The Ram" at the Noir City Festival. I can imagine how terrific it looked on a big screen. The movie certainly does have a noirish quality. William, I'd expect "The Show-Off" to show up eventually at Warner Archives, both the Tracy AND Skelton versions, preferably as a double disc.